If you didn’t know that Joe Allen was along this very small quiet side street, it would not be the obvious place to look for a restaurant. It is hidden away from the all the main restaurants in Covent Garden. 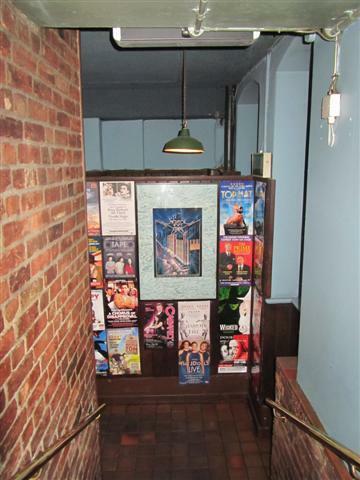 Joe Allen is on the lower ground floor and the red brick walls leading to the the restaurant are full of framed posters. 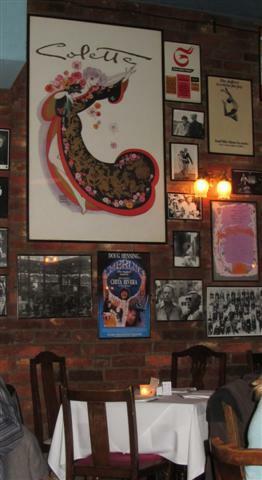 The same style of wall decor is continued throughout the whole of the dining area. The restaurant area is quite big with round wooden tables and there are a couple of alcoves as well. The service was good and the staff were friendly and professional. The menu was interesting and varied with seasonal daily specials. 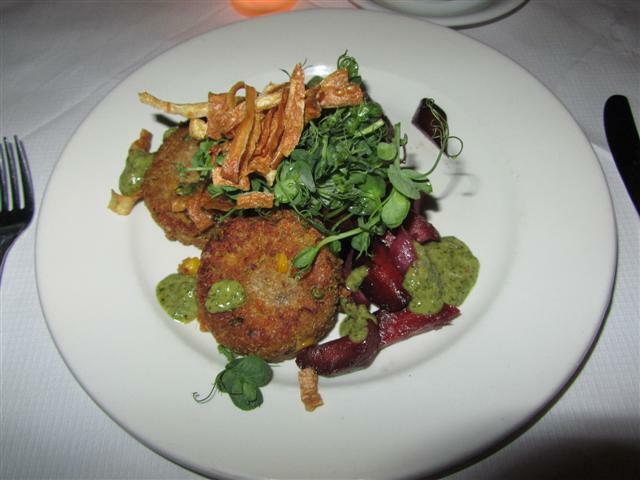 The quinoa and garden pea fritters were just that, as in they were not mixed with any potato. Hence, the fritters had a very crumbly texture to them when they were cut into. The sweetness of the peas was lovely. The heritage carrots and parsnips that made up some of this dish were roasted nicely. This meal was a vegetarian’s delight. The pea cress and the mint and coriander sauce completed the dish. 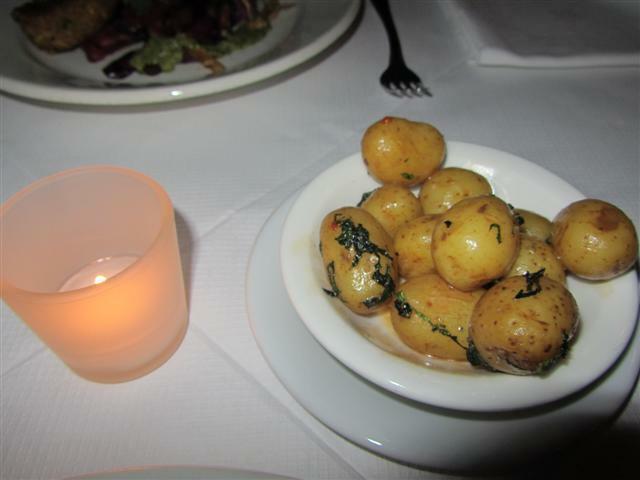 The side of minted new potatoes were a nice accompaniment to the meal. Our meal ended with some dessert. The combination of crumble and cake is a match made in heaven. 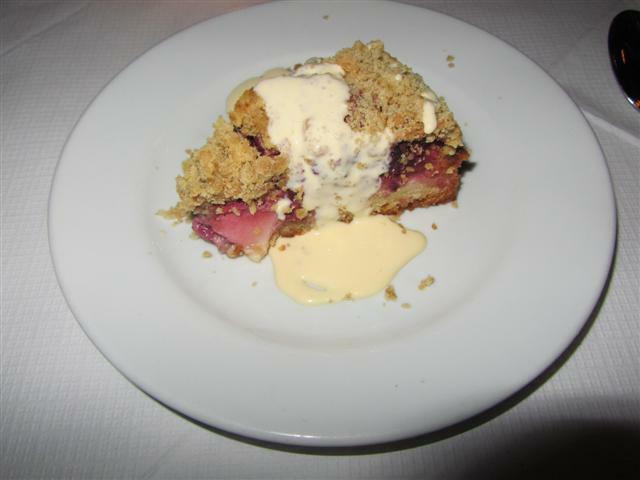 The apple and blackberry crumble cake was a big portion. A thin layer of crumble topped the chunky fruit pieces. The cake portion was soft and light. It was served with vanilla cream. 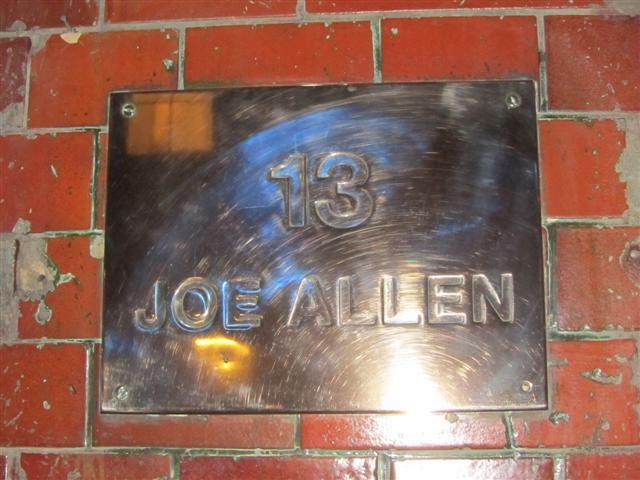 The only thing that did bother me with Joe Allen was that the restaurant was too dimly lit. It may have just been to the particular place that we had been seated. It was to the point where it seemed that we were eating our meal with the aid of a single tealight. We couldn’t really see what was on our plates and what we were actually eating. So it was a kind of a hit and miss with each mouthful, wondering which vegetables were on my fork. Apart from that, everything was nice at Joe Allen’s from the quality and freshness of the food, the ambiance and the friendly staff.